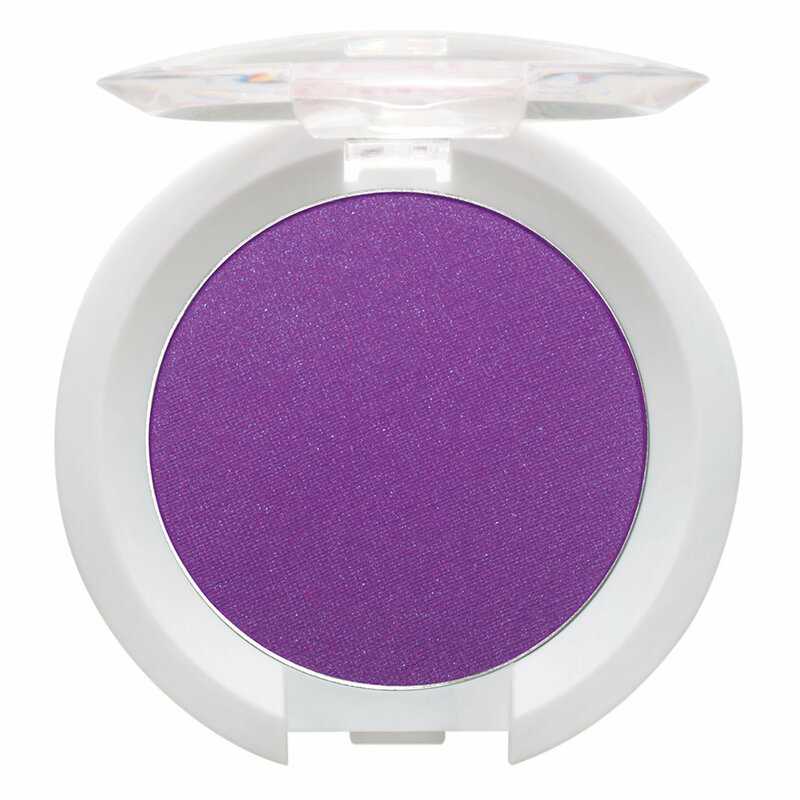 Sugarpill Pressed Eyeshadow Poison Plum is a dramatic purple with a semi-pearl sheen. Highly pigmented and velvety smooth for easy blending and stay-on power. The best black matte eyeshadow I've used. I've tried many different ones but nothing compares to Bulletproof. It's extremely pigmented and as black and matte as you can get. It's also a very neutral black so it doesn't wear down into a darker color. It blends beautifully in eyeshadow looks and is perfect for using as an eyeliner as well. I've tried almost every color of Sugarpill pressed eyeshadow and I can say, with total honesty, that they are the best matte eyeshadows I've tried for truly beautiful bright colors. There has been a trend that I've seen with matte eyeshadows. Matte shadows are usually very bright but the finishes are inconsistent, along with the pigmentation. That's never the case with Sugarpill. Sugarpill eyeshadows always deliver me the pigmentation that I'm after and come in a size (4 grams) that is over 2x that of a MAC eyeshadow (1.5 grams), which continues to cost more. Along with being comparable to MAKE UP FOR EVER eyeshadows, they're a value at $12. Only thing I'd suggest with these is to make sure that you use a base. I don't suggest this because these are sheer and won't last, but because a smooth, even canvas makes these even brighter and helps the lid grab the color from your brush. I prefer laying these down with a flat synthetic brush and then going back to blend once my colors are placed. Bright side? These mattes aren't stubborn and they blend beautifully. This shadow is soooo pigmented. When you pack it on, the glitter stays and shines through the shadow without appearing shiny/overly shimmery. The red color is gorgeous. The shadow is soft and satiny feeling. You definitely have to tap off excess in the pan, but it's because it's not pressed so damn hard you can't use it. I also love that when I blend out the color for a lighter wash of the red, IT STAYS RED!! It doesn't blend or sheer out to an orange or pink base. That being said, the shadow blends amazingly, even with a crappy brush. My only problem is that it stains a tiny bit even over primer, but I mean that's fixable. I wish this was permanent. The description is pretty much accurate. When applied by patting, you don't lose ANY of the silver sparkle. It's buttery, blendable, and pigmented in all of the best ways possible. It's a similar red to Love + but a little darker and with added silver sparkle. This is a go to shadow for me when I'm looking for a red with a kick! I just bought Buttercupcake, Tako, and Bulletproof a couple of weeks ago from the Sugarpill store itself. After being so impressed, I went ahead and ordered Midori here on Beautylish. I'll just have to get one of everything! Great product with wonderful opaque coverage. Having a darker skin tone, it's nice to have something that pops with minimal application. This is my absolute favorite black eyeshadow. I use it everyday. It's so dark and pigmented, it lasts all day, and if you use it correctly, it blends really well. I will ALWAYS use this black over any other black eyeshadow out there. This is insanely pigmented. It's a gorgeous hot pink eyeshadow. It blends very easily and lasts all day. The only downside is it does stain my eyes a lot, besides that it's perfect. If you love bright eyeshadow that goes on true to color...this is nirvana. I'm a bit of a pink fanatic.. The first palette I purchased was the Sweetheart Palette because I was drawn to this bright pink shade. It's a perfect mid tone pink that can be applied lightly or packed on for a super bright finish. LOVE. I love sugar pill and have both quad palettes, but I cannot use poison plum with out it seriously staining my eyelids. So bad that no makeup remover has been able to take out the fuschia stain left behind. I want to use this every day but find my self reaching for something else because the staining is so bad.